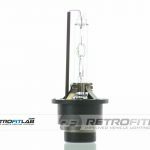 For this review, I’ve ordered what Retrofitlab calls a “complete solution” for P1 HID retrofits, their Volvo V50 (2004-2012) bi-xenon E46-R (D2S) – Halogen headlights combo kit. 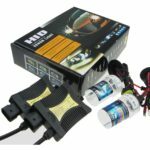 TL;DR: Yes, this kit is suitable for P1 retrofits, if installed correctly (especially ground!). Bulb failure warning functionality is not retained, as is the case with all relay harnesses. 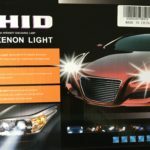 The reason I wanted to investigate this kit in particular is it claims to be a complete solution, their description includes a fun tidbit about the wiper motor (as was pointed out on the SwedeSpeed boards) and it’s in the Netherlands which is where many of the international SKBOWE orders came from. 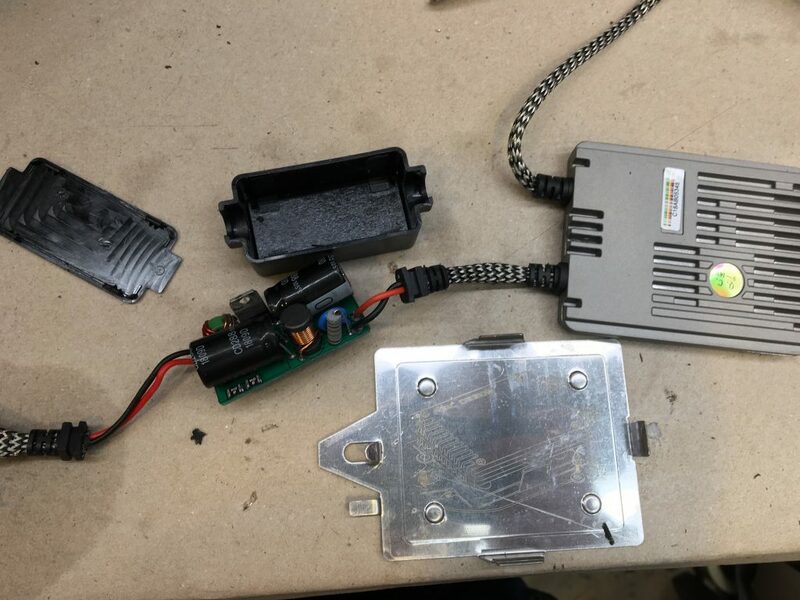 The product description did not specify how their “Canbus harness” worked, and an answer from their sales team did not do much to clarify, so I figured I’d order a set and see what showed up. AMP to D2S adapters with grommets and integrated H7-to-9005 adapter. As noted below, the parts I received were average quality, while the kit is priced at ultra-premium levels – you are paying about €75 ($100 USD) for the convenience of not having to source the components individually (e.g. Amazon, eBay, etc.) and presumably, having real support. This Volvo V50 retrofit kit contains everything you need to convert your halogen setup into powerful bi-xenon projector headlights. 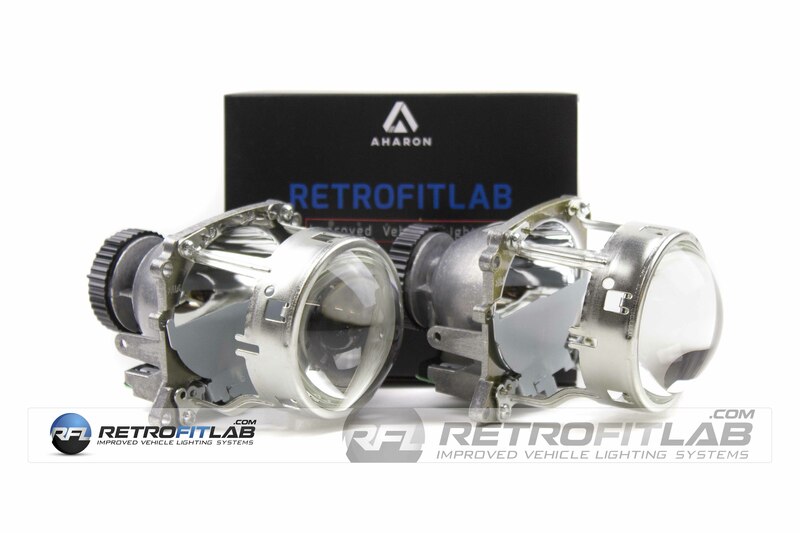 * Custom-made to fit your existing headlights and including all the correct wiring and a selection of OEM-style shrouds, it makes retrofitting quick and easy. And, most importantly, it will take your V50 to the next level – just check out the test pictures! This is way beyond what the majority of OEM projectors can achieve. The Bosch AL E46  is an incredibly bright bi-xenon projector, enabling you to use D2S OEM bulbs, including the most powerful options from Osram and Philips. You will literally outshine the competition. With available colour temperatures ranging from 4,300K to 6,000K, the crystal-clear 3.0-inch lens throws a low beam with a bright hotspot and sharp cutoff. 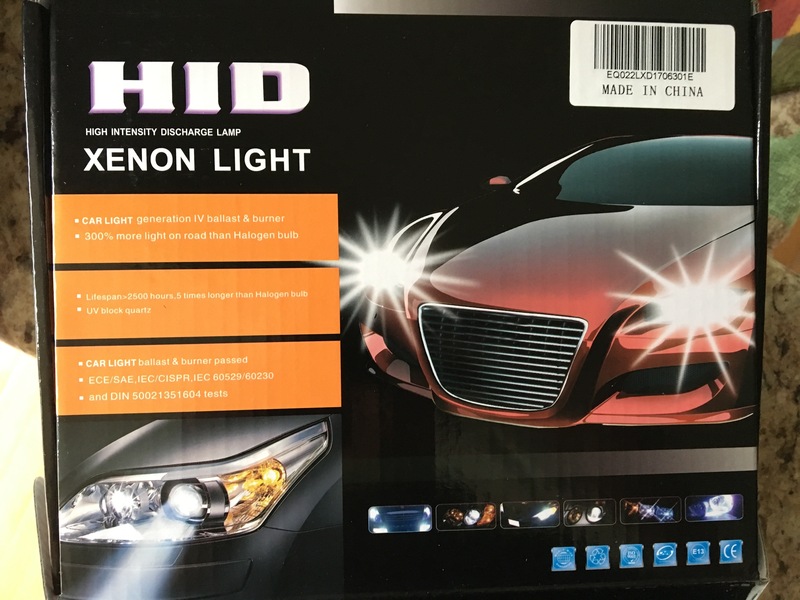 As for the high beam? It’s like the sun. 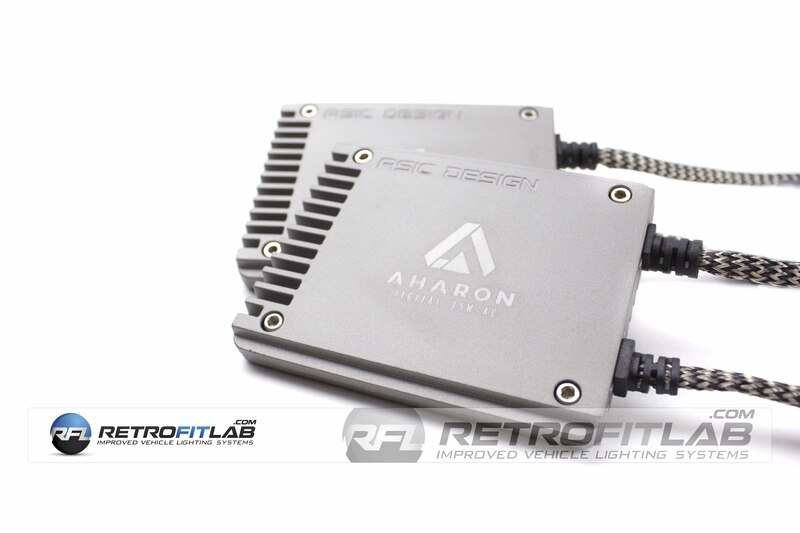 Such a light output would not be possible without efficient ballasts, and the included Aharon digital ballast has – as opposed to many other aftermarket units – been tested to generate a full 35W. 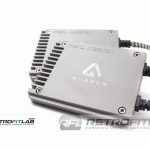 The Aharon comes in a rugged and extremely compact housing perfect for retrofitting, and its in-wire starter warms xenon bulbs in as little as five seconds. 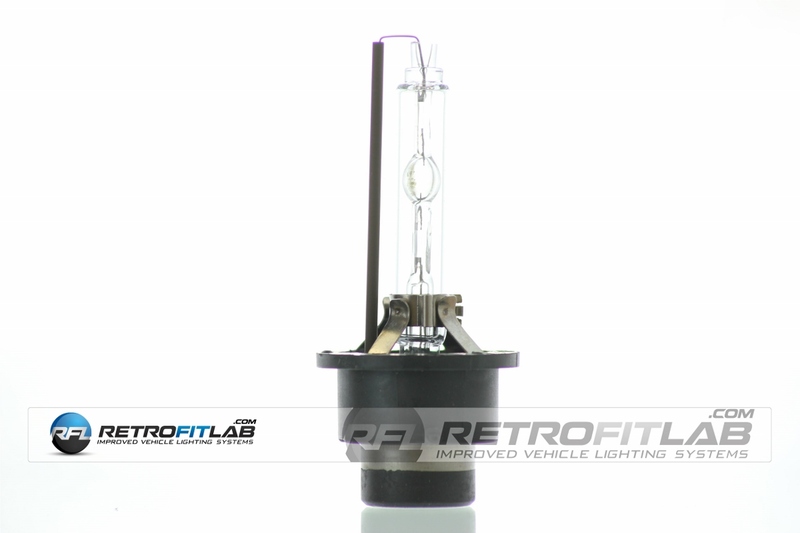 It is also Canbus-proof, so you won’t get any bulb failure readings on your display. 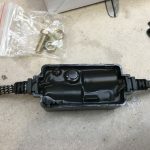 This ballast is the perfect complement to the included Volvo V50 wire harness, which connects directly to the original wiring. A high beam splitter is also included, making for easy integration of the bi-xenon mechanism. Power supply is strong, steady and reliable. 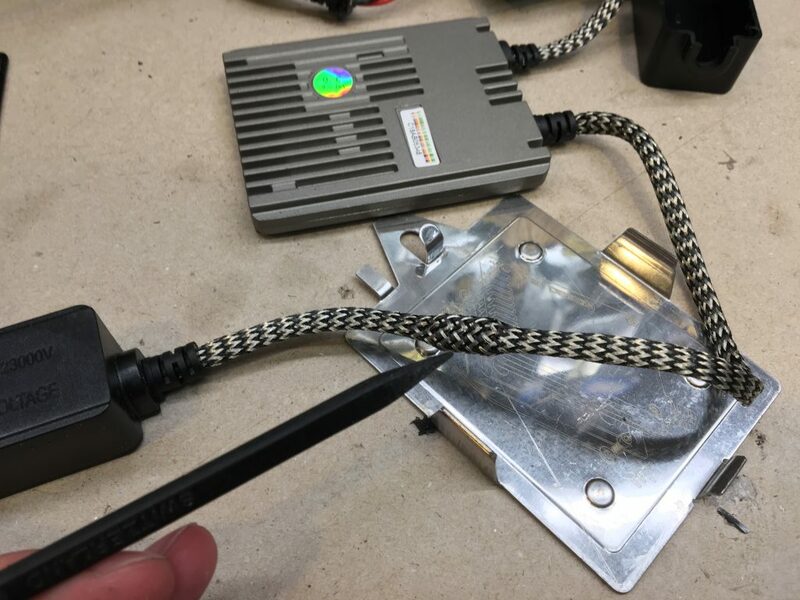 * Please note that Volvo V50 is one of a select few vehicles that may also require our custom Canbus harness in order for your dash, lights and wipersto work as normal. Misleading, as (per their own footnote) you *will* get bulb failures if you don't get the optional harness. 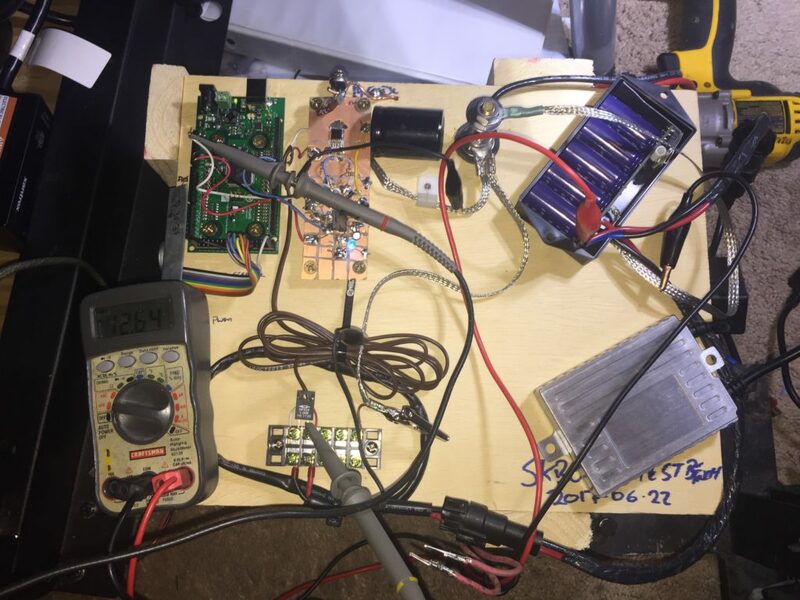 Note that the dash will not work "as normal" even with the "Canbus harness" (which is really a relay harness + resistors), because if a bulb burns out there will be no indication. I think they meant, there will be no BOW when everything is working. Interesting that they included wipers here. 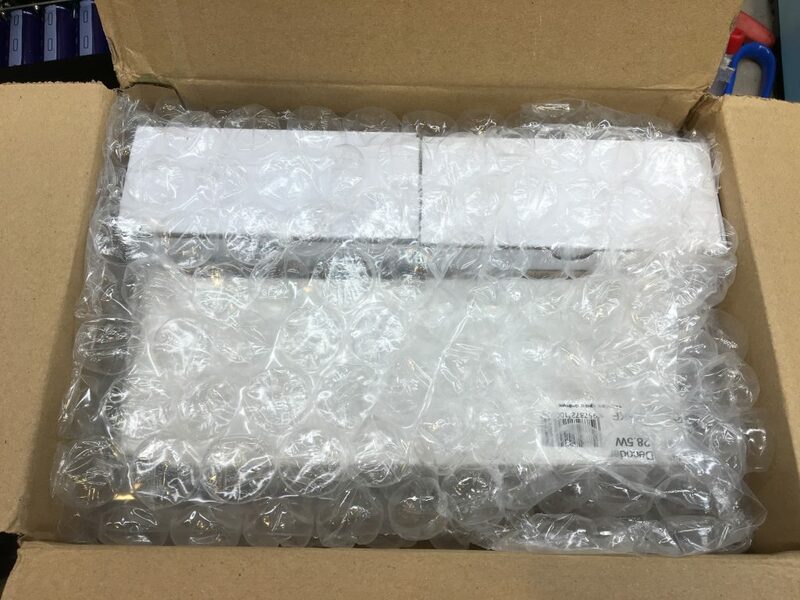 Arrived Dec 26, so it’s literally like Christmas! Package arrived from the Netherlands in good shape after 20 days (about standard, for priority mail international). 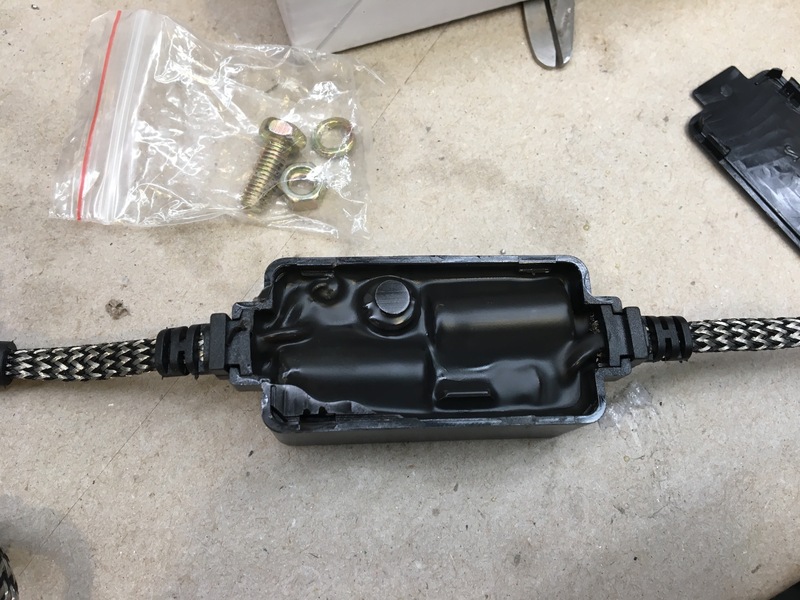 I was most interested in the “Canbus harness”, so I tore into that first. As I suspected, their “Canbus harness” is just a relay harness, with load resistors. 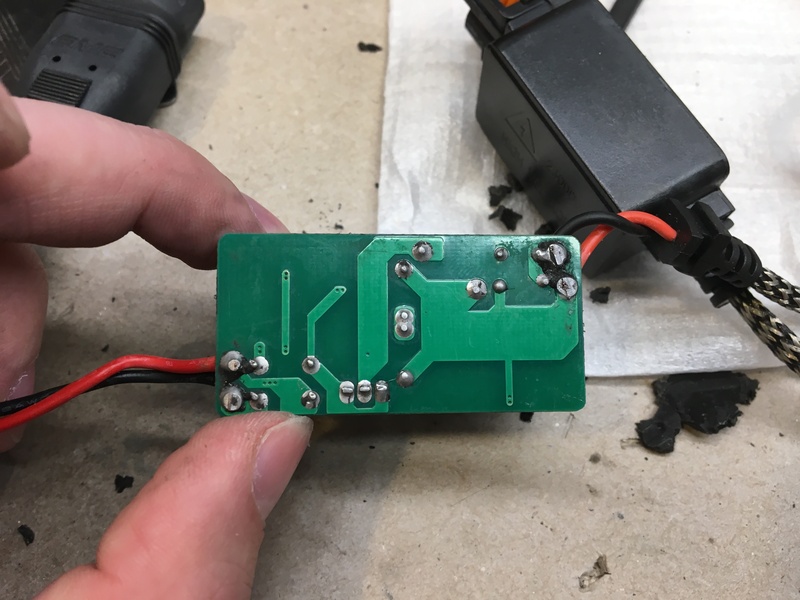 There is no capacitor so it won’t work with the US/NA DRL, but I don’t think thats a thing in the EU so no fault there. 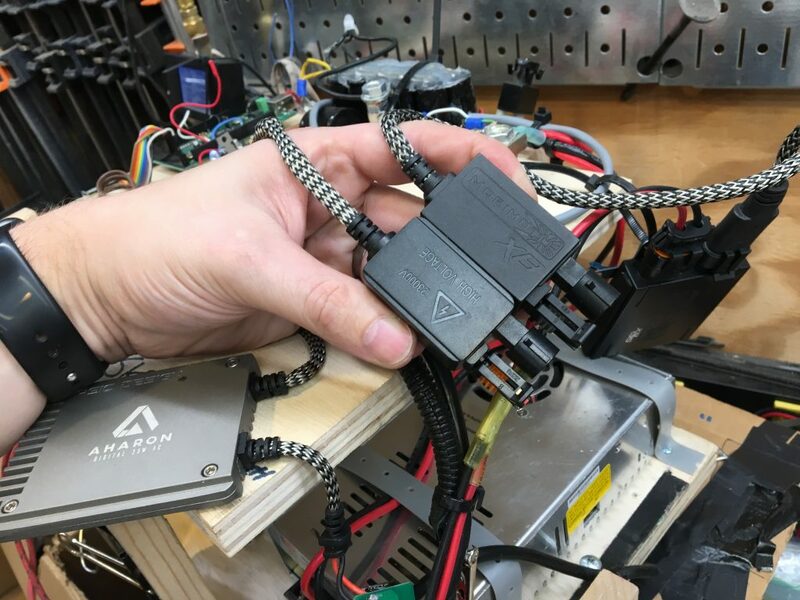 I was relieved to see the relay harness has all necessary elements for a P1 install, rather than a DDM-BOW3 style eliminator. The load resistors are a unique design, and it sounded like there was something loose inside of them so I cracked one open and it is filled with what appears to be salt? Not sure if that’s for heat, or moisture, but it is surely a unique design. I do worry about vibration slowly grinding the crystals down into powder, leaving that ceramic element banging around inside the aluminum case, but that is probably many thousands of hours away. Nice quality on the high-temp wire insulation, though I was not impressed with the case itself, strain relief, or grommet. 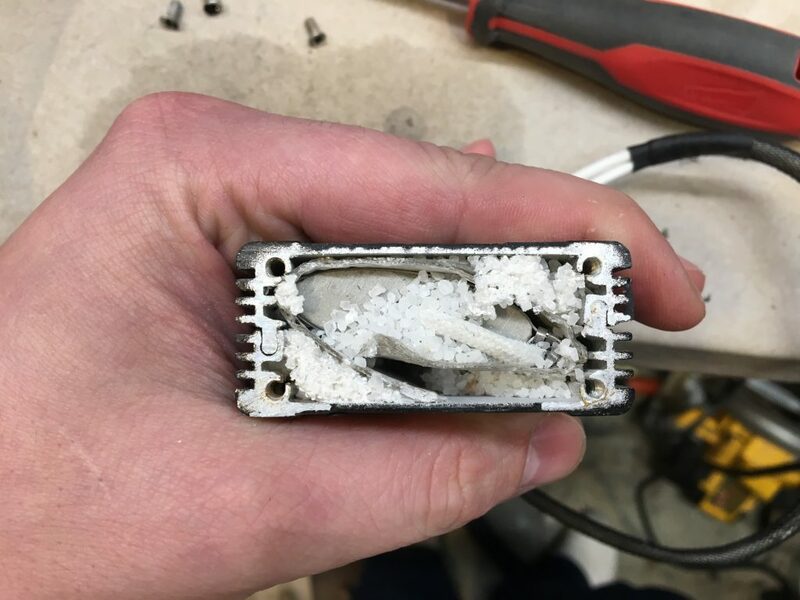 I would have preferred to see thermal epoxy over salt. Note the ferrite inline with the HV leads. Nice! 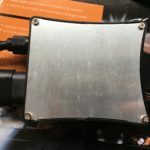 There is a ground tab on the mounting bracket, although the case is not connected to ground and there is no provision for making contact through the case. Perhaps this is an attempt at RF shielding? 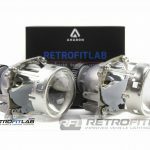 Aharon vs the Morimoto XB ignitors. Same factory? Or at least same tooling? 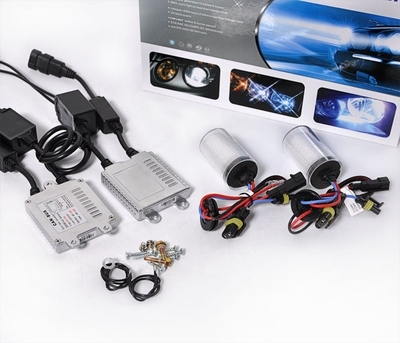 Although advertised as a 35W ballast, it draws nearly 60W of power, so it is likely running bulbs hot. Inline “canbus” on Aharon ballast, un-potted. 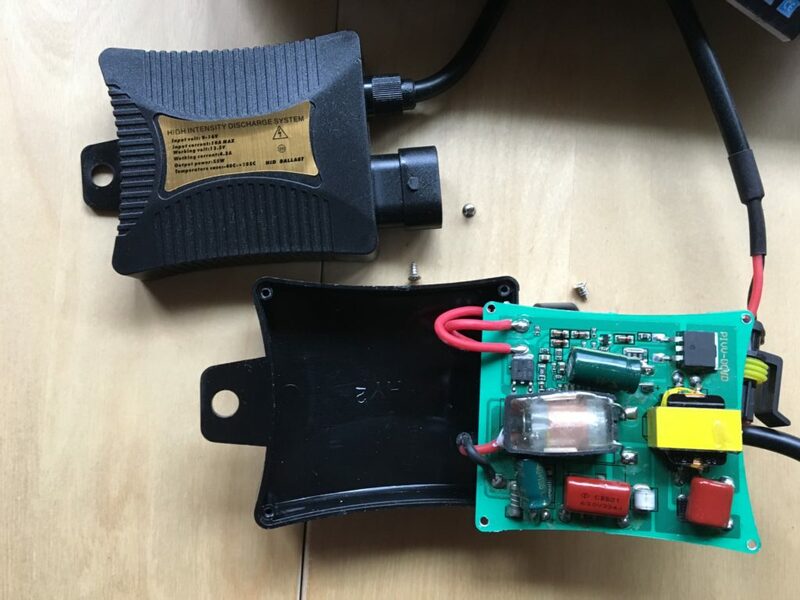 It does run off the signal PWM directly, as it has an integrated “canbus” error eliminator which was poorly potted using silicone inline with the power feed. The back cover of this unit was not glued, and the silicone potting pulled of easily. This design will not protect against condensation and corrosion in an automotive environment for long. 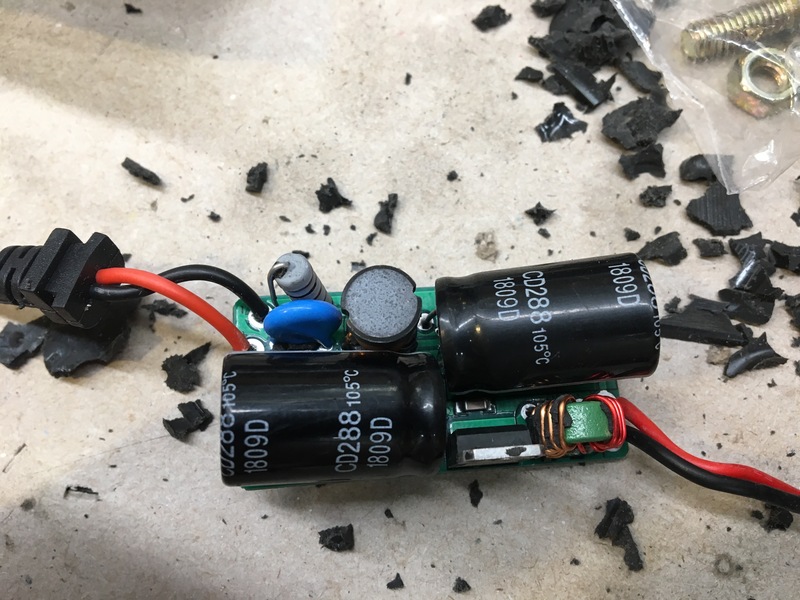 This module has two 16V 10,000UF 105c capacitors the and a single silicon diode, as well as a choke, MOV, and a few resistors for an RC filter. I did not reverse engineer the circuit yet, but based on the size of the choke this is tuned for a much higher (1KHz +) PWM frequency. 142F (60c) without the heat of the engine, etc. This will get worse as the capacitors degrade. 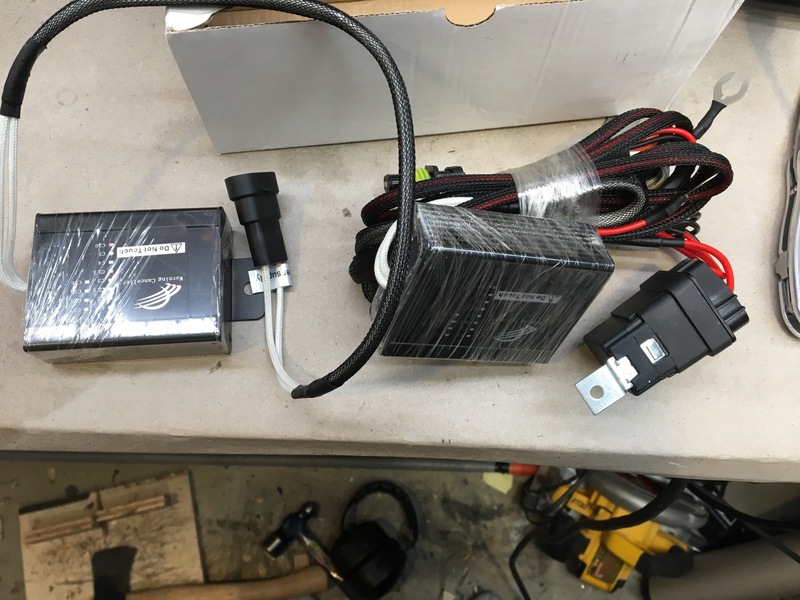 This relay harness + load resistor kit is a safe way to retrofit a P1 with HIDs, and the included projectors are drop-in including bi-xenon functionality. 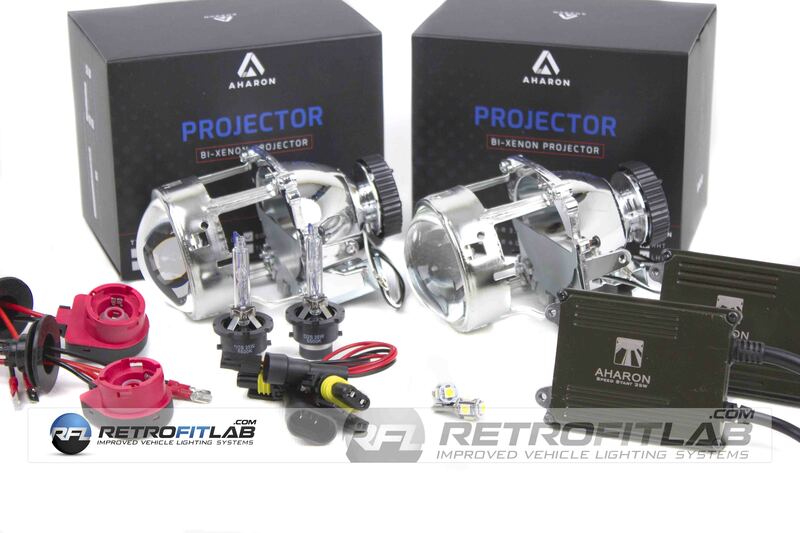 Average component quality, some aspects similar to Morimoto, though projectors are replicas. Overall: 4/5 stars: -1/2 for cheap silicone potting, -1/2 for no screw holes in ballast case. This is a post about things you should NOT buy. Please DO NOT BUY things on this page. Back of the really cheap kit – no sealants, tapered wood screws without countersinks – this is going to be fun! Warning sign #1 – It was cheap. Obviously, at under $20 for 2 ballasts and 2 bulbs, this was not going to be top quality. 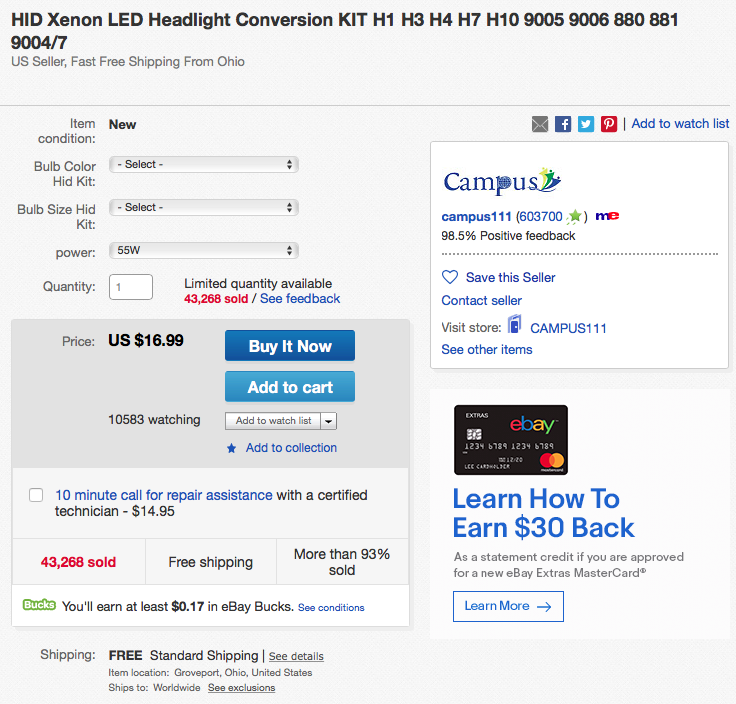 The Kensun (Amazon) brand kits are $60, and are significantly better than this. Warning sign #2 – It feels cheap. The first thing I noticed was the weight of the ballast – it feels like an empty case. My postal scale says 3 Oz (85g), including the internal ignitor! Compare to the Morimoto XB35 at 10 Oz (295g). 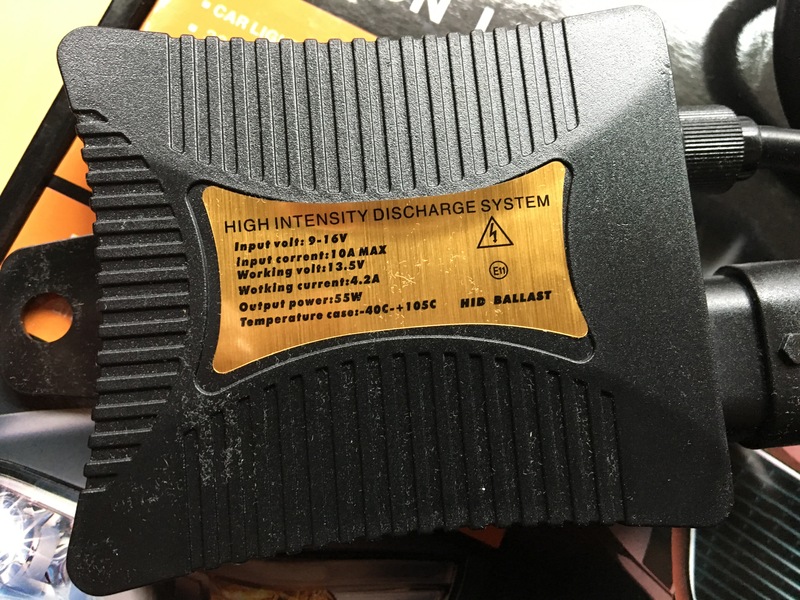 This is a DC ballast design, so even if it did work the bulbs would wear out very quickly. Warning sign #3 – It looks cheap. Crummy sticker placed off center with no brand name, “input corrent [sic] : 10A” (this would be 135W, BTW). Back side has wood screws holding an aluminum plate onto the plastic case, didn’t bother to countersink so the heads are proud of the surface. No weather sealing whatsoever. No strain relief on the output cord (it looks like there is a nut, but it is cast and part of the case, the wire easily slides in and out). Warning sign #4 – It’s built cheap. 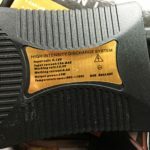 The internal construction of this ballast is actually scary, reminds me of the counterfeit usb chargers that routinely cause fires – but this is running at 5000 times more volts! No potting or through holes, which will shred this in an automotive environment. 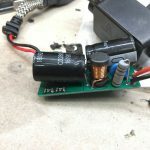 Integrated ignitor with no insulation. 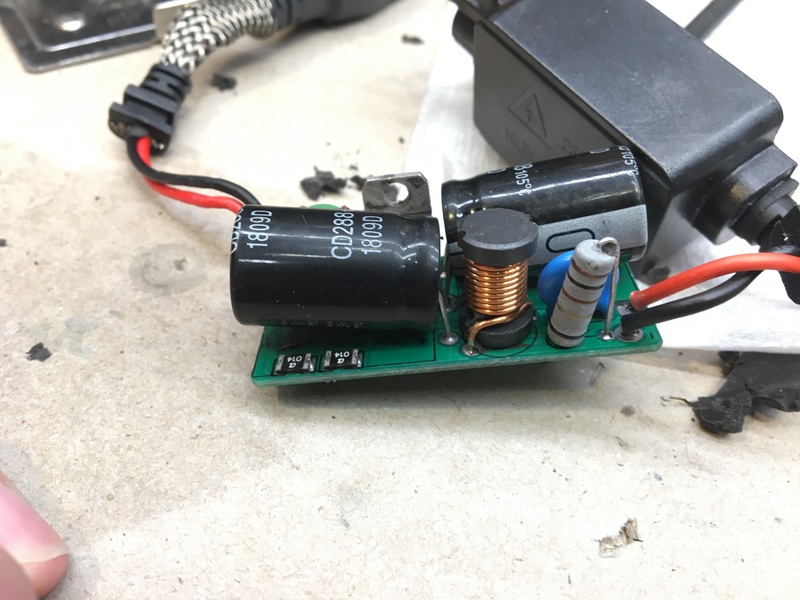 Random transformer rather than an actual boost converter. This is a disaster waiting to happen. 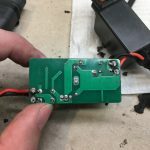 Guts of a super cheap HID kit. 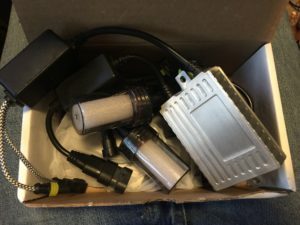 Please do NOT use this type of kit in your Volvo (even with the SKBOWE)! 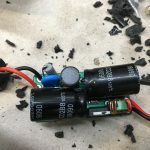 When there is talk about “EMI” issues, it is these sorts of ballasts that are to blame. 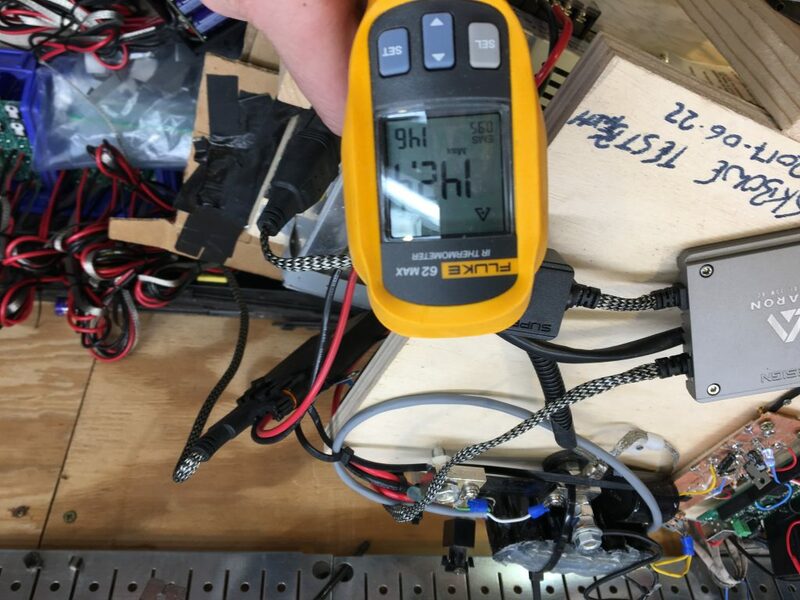 Any decent company producing a reputable ballast will be 100x better than this garbage. Honestly, I am not even sure I want to hook it up to the testbench. But if the SKBOWE can run this, it really can run anything! Stay posted for an update with electrical performance. Updated 7/5/17 – See temp data below! 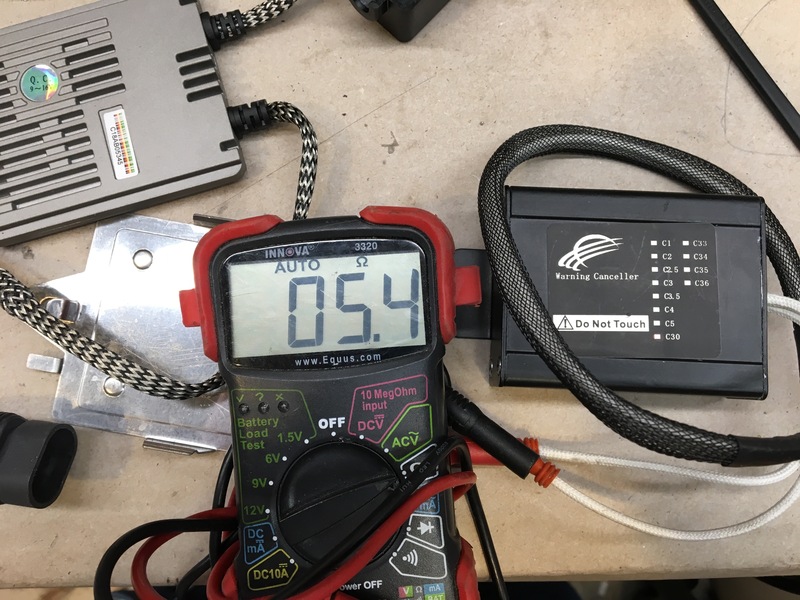 This post is part of the Ballast Testing series, where kits are evaluated against the SKBOWE TestBench. This kit is being peddled on C30crew as direct-fit compatible, allegedly no SKBOWE or relay harness required. Well, we shall see about that… Picked one up for testing, note that the ballast case is not as pictured online. The kit does indeed run without a SKBOWE, even at DRL duty cycles. There’s a catch though! That current (red line) is off the chart – the peak is over 15A in every cycle! The thin purple line is where the red line should be. This current distribution is characteristic of a “warm start” strategy where the arc is extinguished and re-initiated every cycle, but at low voltage (without using the ignitor) rather than ignition voltage (30kV). 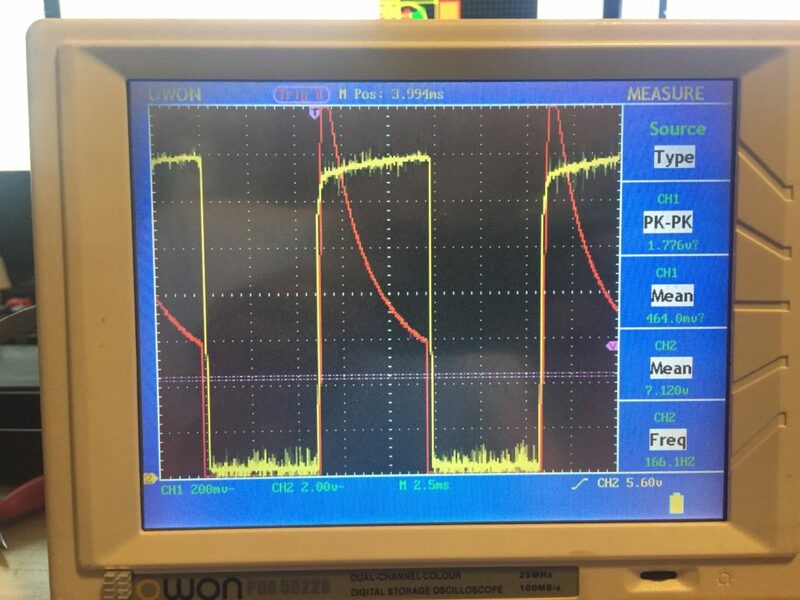 This is not good for the CEM or the ballast, indeed the integrated “error canceler” gets VERY hot after a short time. Notice the noise on the input voltage – this will only get worse as the internal components age – and is what can cause WMM failure without an additional ground point. 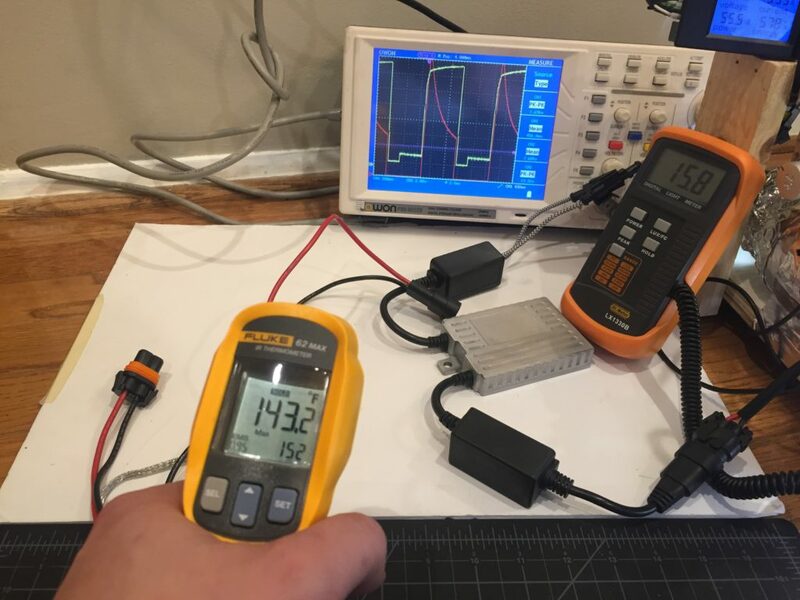 On the upgraded test bench, after about an hour the relative output dropped 10%. 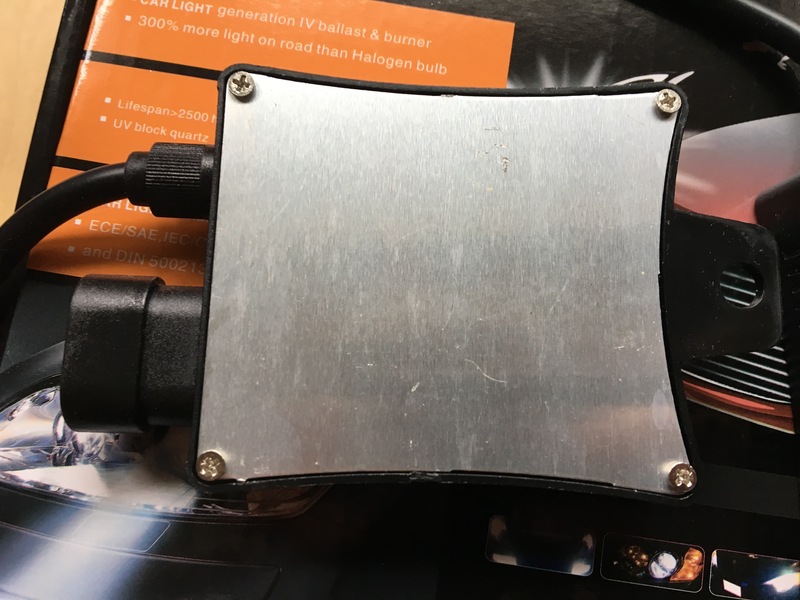 The whole time this 35W kit is pulling 55W (i.e. wasting 20W somewhere). But the real question is how hot is really hot? ProTuningLab 35W CANBUS after 1hr of operation showing 145-150°F, i.e. a 80° rise in temperature from 70° ambient. 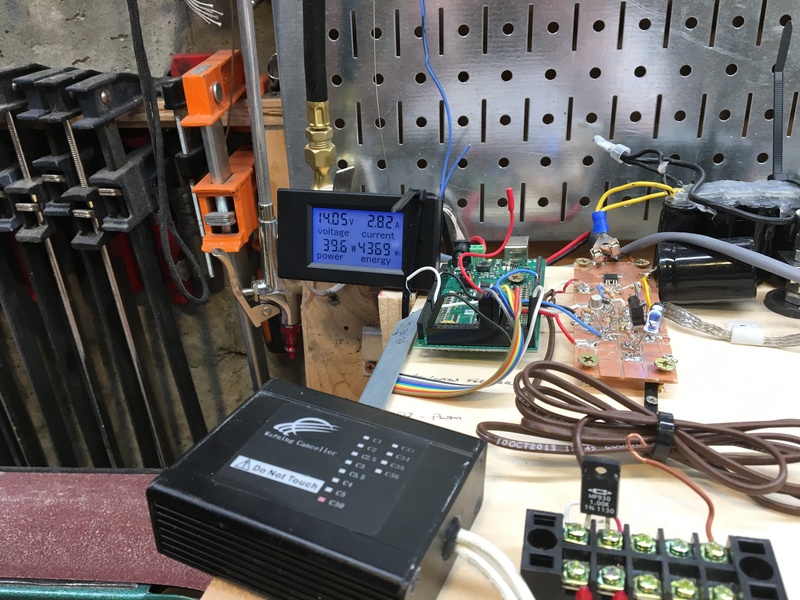 The “error canceler” on this thing hit 150°F, which is a +80° rise over ambient. In the car’s engine bay that starts around 140°F, this thing would be running near 220°F or 105°c – literally the top of the temp range for the cap(s) inside. I suspect that there is a resistor in there causing some of that heating, but it runs cooler at higher duty cycles so there is something else going on. Stay tuned, when production is complete this bad boy will get dissected! SKBOWE V2 is SOLD OUT!